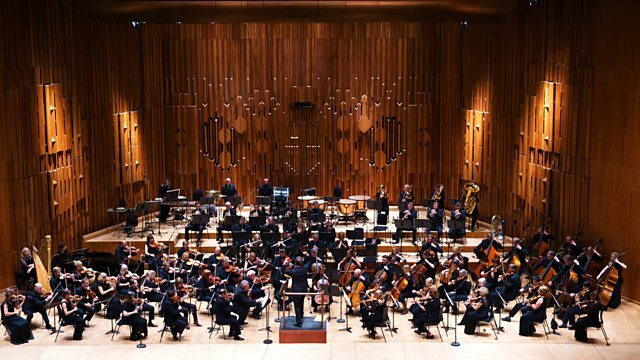 Live from the Barbican, Martin Handley presents a performance of Dvorak's Requiem, with leading soloists joining the BBC Symphony Orchestra and Chorus conducted by Jiri Belohlavek. Singer: Kateřina Kněžíková. Singer: Catherine Wyn‐Rogers. Singer: Richard Samek. Singer: James Platt. Orchestra: BBC Symphony Orchestra. Choir: BBC Symphony Chorus. Conductor: Jiří Bělohlávek. Performer: Peter Hurford. Ensemble: Amsterdam Mozart Players. Singer: Kateřina Kněžíková. Singer: Catherine Wyn‐Rogers. Singer: Richard Samek. Singer: James Platt. Choir: BBC Symphony Chorus. Orchestra: BBC Symphony Orchestra. Conductor: Jiří Bělohlávek.